Onward we go to Fat Tuesday! 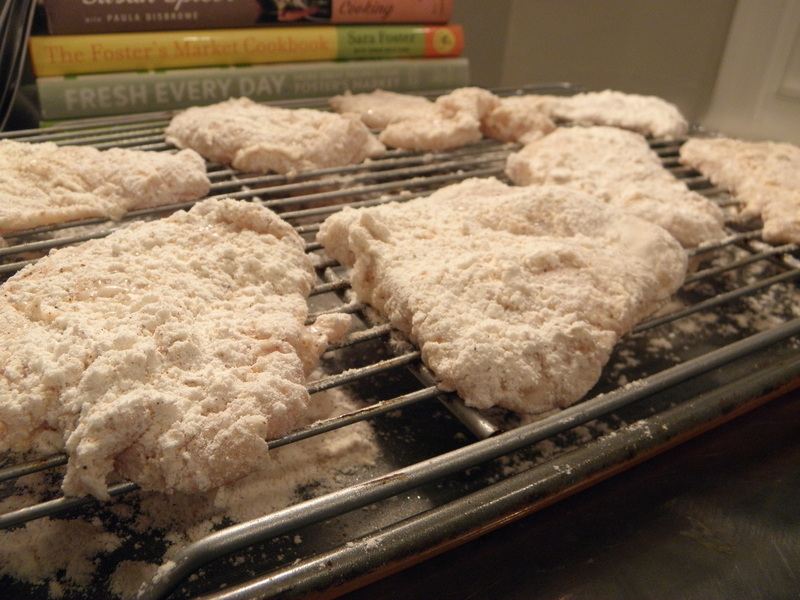 Friday was a bust, I spent all day trying to ‘bake’ beignets. Yes, bake them and after 4 batches, standing there covered in powdered sugar, I learned one thing – somethings are just better fried! My sister is notorious for calling me while she is in the grocery and asking me how to make something. I even went so far to make her a cookbook one Christmas that had all of our favorites and she still calls from the store. So this is my attempt to start a new collection of our favorites and maybe she will print these off before heading to the store! 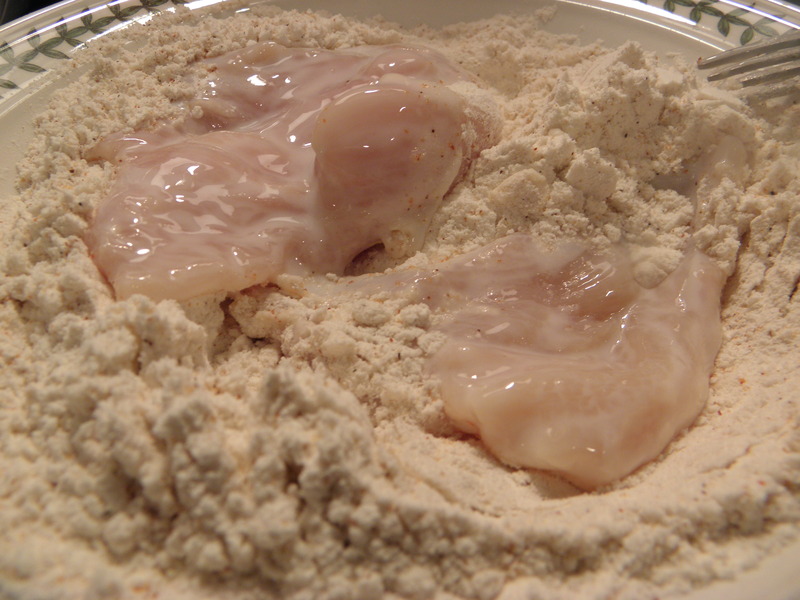 Spilt each chicken breast lengthwise, then pound until 1/4″ to 1/2″ thick, cut each piece in half to make 8 small chicken cutlets. 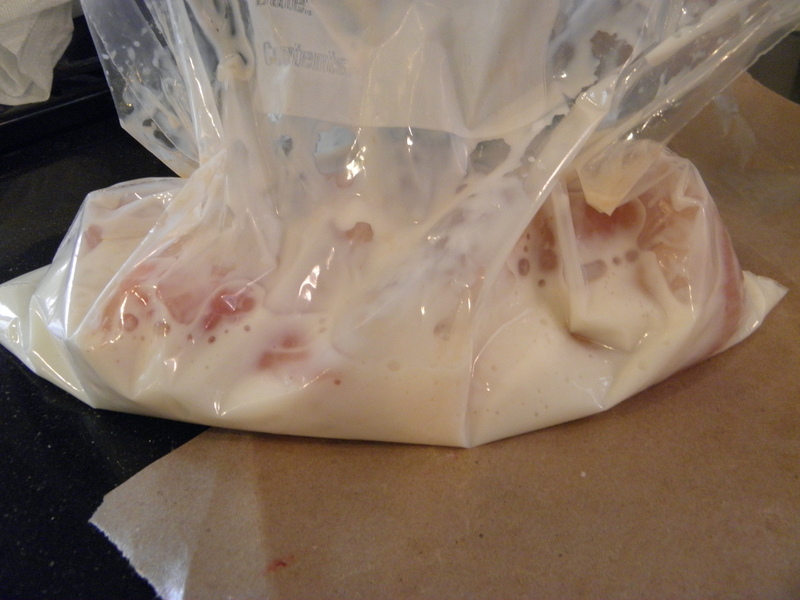 Place chicken in a large baggie, pour in buttermilk and a few drops of hot sauce. Seal bag and make sure all chicken is well coated. Chill in fridge for 1-2 hours. Take chicken out of the fridge and let set out for about 15 minutes. 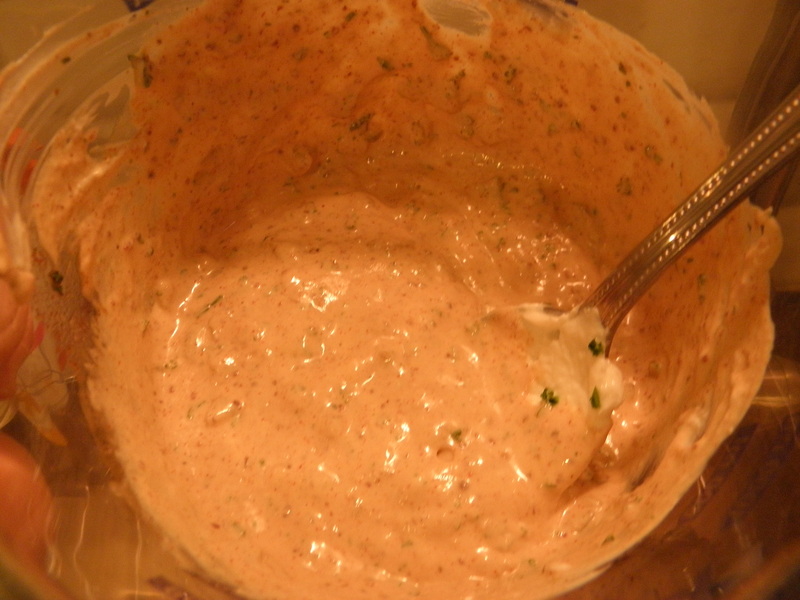 Mix together flour and cajun seasoning. 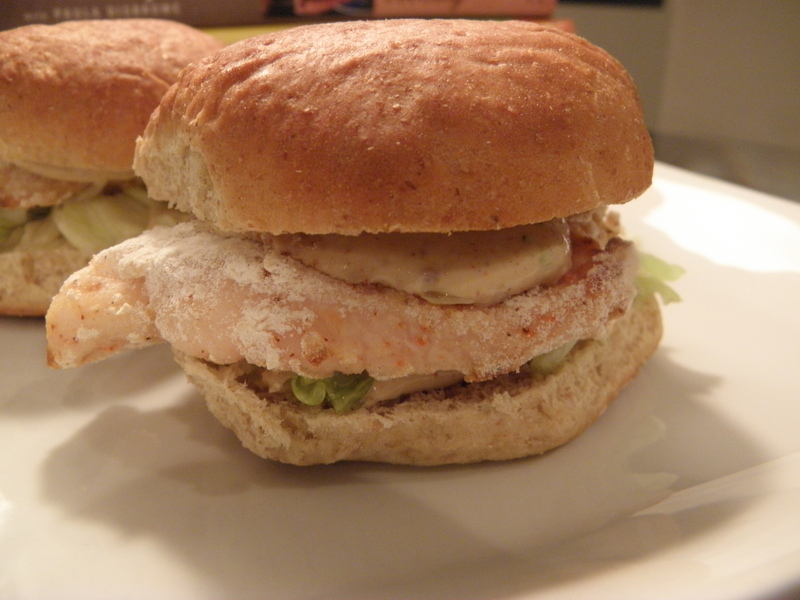 Take chicken from the buttermilk mixture, shaking off excess buttermilk and dredge in flour. 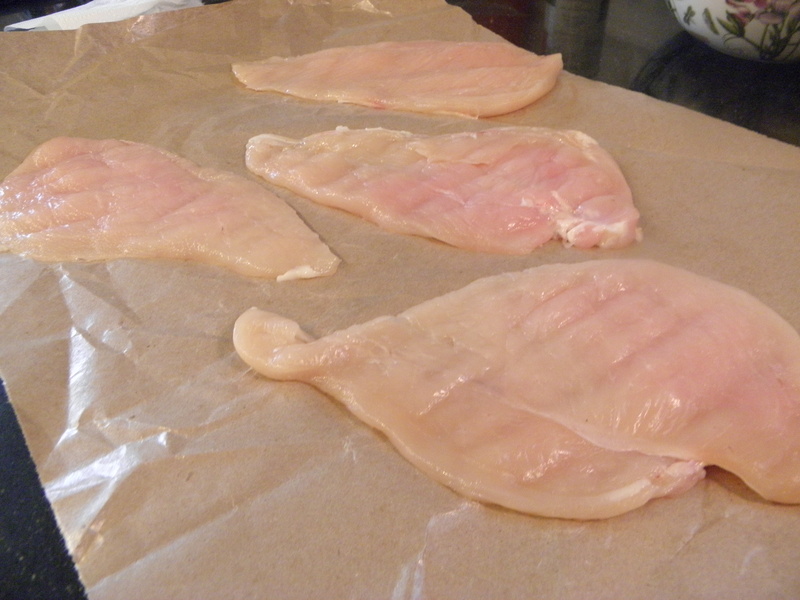 Place chicken on a wire rack that has been generously sprayed with oil spray and is sitting on top of a cookie sheet. Place in a 375 degree oven and bake for 15-20 minutes, depending on the thickness of the chicken. The turn the broiler on for about 5 minutes until the chicken has browned on top. Combine all ingredients. Chill before serving. 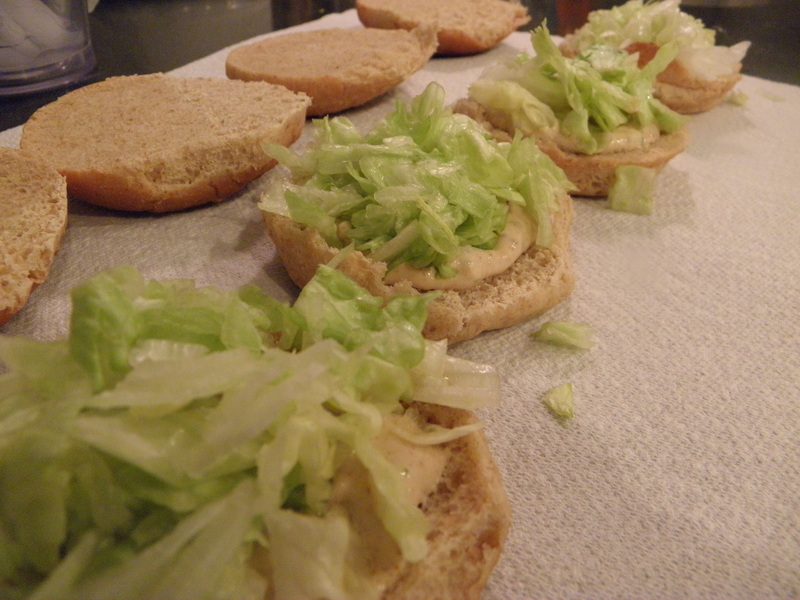 To assemble, spread a teaspoon of remoulade on the top and bottom of the slider bun, add chopped iceberg lettuce and oven fried chicken. 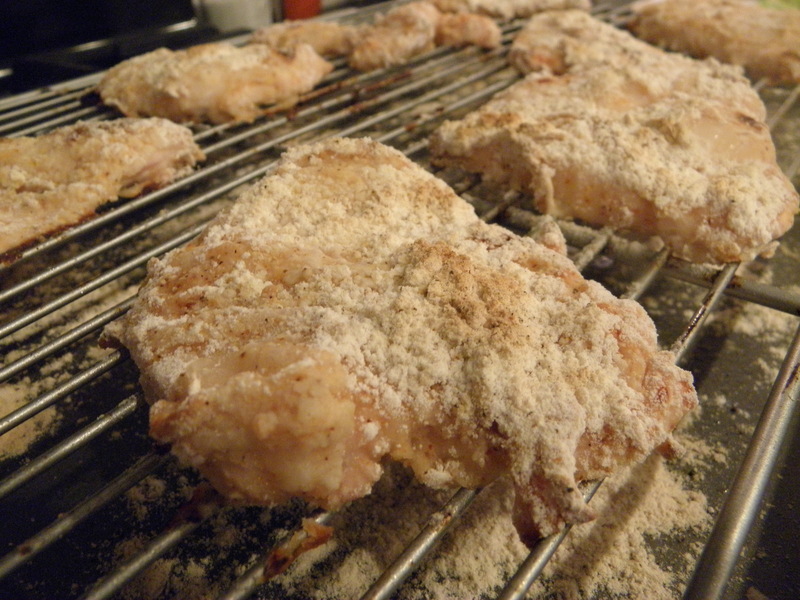 Soaking the chicken in buttermilk tenderizes the meat so that when it is baked it doesn’t dry out. 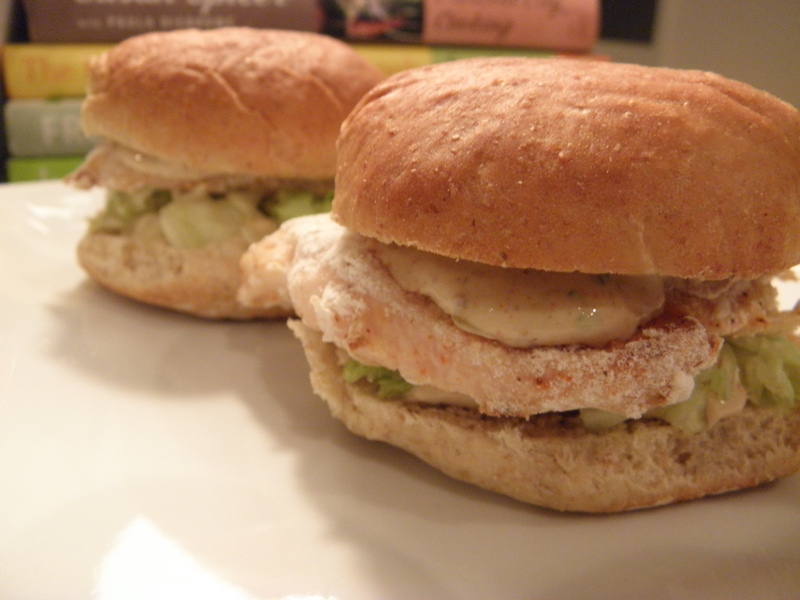 This entry was posted in Burgers and Sandwiches and tagged buttermilk fried chicken, cajun, chicken breast, easy, Fage Greek Yogurt, Food, oven fried chicken, recipe, remoulade, sliders, spicy, Tony Chachere on March 7, 2011 by lolleigh. 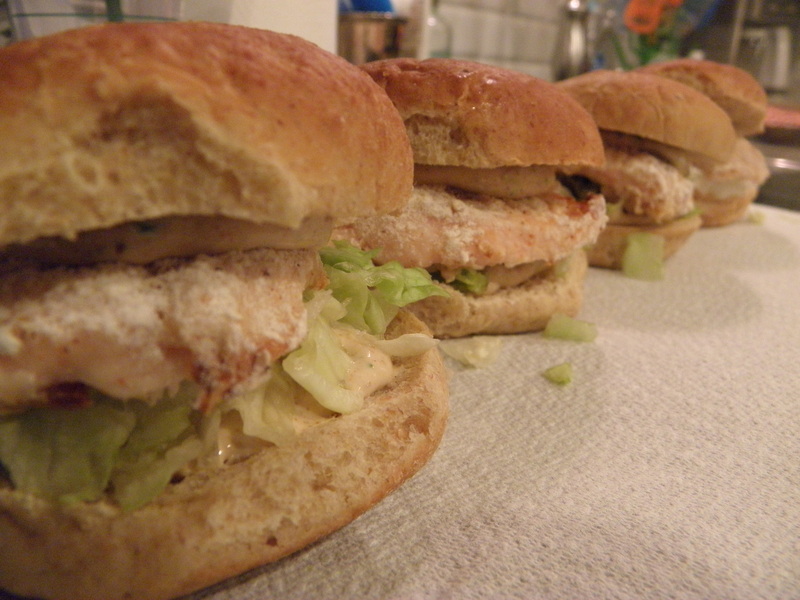 The chicken littles look so delish! I think your mom served a version of this for our Super Bowl party. Delicious!